Nuvectra® is a medical device company focused on improving the outcomes and usability of implantable devices. 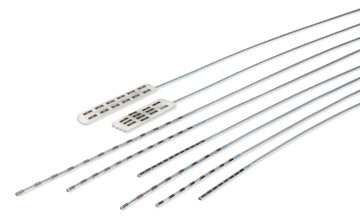 We are proud to introduce Algovita®, a new spinal cord stimulation system that features a broad set of capabilities to provide powerful, yet simplified therapy delivery. Nuvectra™ is a medical device company focused on improving the outcomes and usability of implantable devices. We are proud to introduce Algovita®, a new spinal cord stimulation system that features a broad set of capabilities to provide powerful, yet simplified therapy delivery. The Algovita® Spinal Cord Stimulation System is based on proven SCS technology and a deep understanding of physician and patient needs. The system was designed to incorporate improved therapy delivery, additional safety features, and other enhancements to simplify both the clinician and patient user experience. Our advanced, 24-channel implantable pulse generators (IPGs) and comprehensive lead portfolio provide a broad range of options for pain coverage that can be tailored to individual patient requirements today and into the future. Our IPGs feature 24 current sources, wide parametric ranges, and innovative programming capabilities for broad coverage and precise targeting of painful areas. 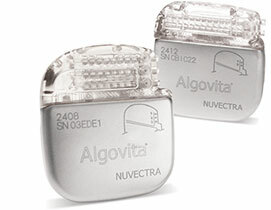 Algovita’s lead portfolio offers the industry’s first stretchable SCS lead body. In addition, our comprehensive lead portfolio provides flexibility to tailor coverage to individual needs today and into the future. 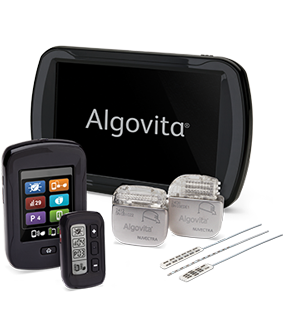 Algovita’s wireless programming system helps to simplify patient programming. The clinician programmer features computer-assisted stimulation programming and our patented patient feedback tool to assist with the rapid localization, targeting, and fine-tuning of pain coverage. Our easy-to-use patient devices are designed to fit into a patient’s daily life. 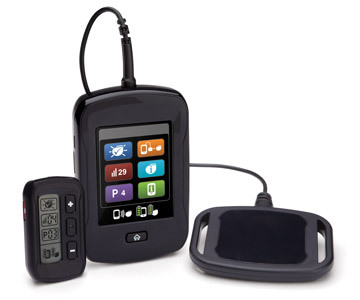 The small, wireless Patient Pocket Programmer provides discreet and easy on-the-go therapy control. 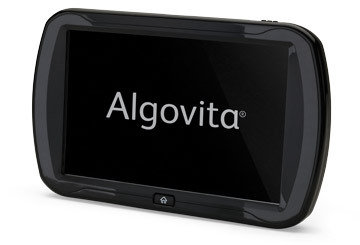 In addition, the Algovita charging system features an icon-based touchscreen and additional programming control options for patient convenience.